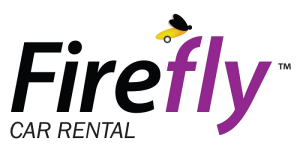 Firefly car hire in Javea, Spain. Do you need a car hire from Firefly in Javea? Then you can use our search engine for rental cars below and get the best price on your rental car. 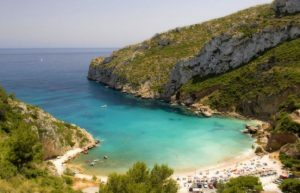 Compare offers from Firefly and the other car hire companies in Javea in one simple search. Firefly Car Rental is a cheap rental car brand owned by Hertz. Hertz developed the new brand to replace Advantage Rent a Car which had to be sold after the acquisition of Dollar Thrifty Automotive Group. Firefly is a car rental company that offers low prices on car rentals for leisure travelers, and has offices in top holiday destinations in Spain, including Malaga, Murcia, Alicante, Barcelona, ​​Madrid, Seville, Valencia and Reus in Spain. Firefly’s fleet offers a wide range of car options, depending on your needs and budget, from small cars for short weekend vacations with your loved ones, to larger vehicles you can rent for long family vacations. Firefly was first opened in March 2013 with branches in Europe, with US branches that followed in September 2013. In August 2014 opened Firefly’s first location in the Middle East that serves Dubai airport in the UAE and in September 2014 opened the first places in Australia. From January 2015 it has over 100 locations in 13 countries. Always order as early as possible. In high season there is a struggle for rental cars in Spain. This makes the prices higher, if you book online as early as possible, the chance will be great for getting a hire car from Firefly at a much cheaper price than by booking when you arrive in Spain. Check your car rental price from Firefly using the form above. Read through the Firefly contract before signing. Is it in Spanish, so ask for it in English. In particular, check with insurance, deposit, and fuel conditions.